Details about Synthetic Opal Slice Concentrate. Approx 5ct. Synthetic Opal Slice Concentrate. Approx 5ct. 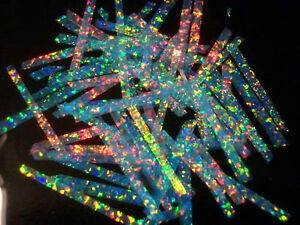 Gemstone: Assorted Gemstone Type: Lab-Created Opal. MENS OPAL RINGS GOLD 14ct. MENS OPAL RINGS SILVER 925. LADIES OPAL RINGS 14CT GOLD. LADIES OPAL RINGS SS 925. MATCHING SETS PEND & EARRING. Will usually send within same business day if paid before 12:00 SGT (excludes weekends and holidays). Expected post time may vary and is based on seller's order cut-off time.